Each year, in a highly competitive selection process, a limited number of outstanding women leaders are accepted into program membership. The participants meet for four, three-day sessions combining continuing education in leadership development, information and major discussions of state policy issues, and exposure to the philosophies and thoughts of the state’s business, cultural, educational and political leaders. 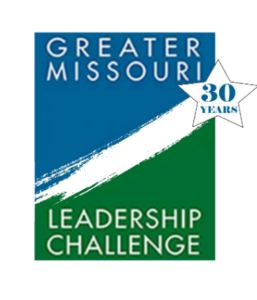 With the wealth of talented women in the state, Greater Missouri Leadership Challenge provides an enriching experience for both the participants and the state and new channels of communication to broaden the participation of women in addressing the critical issues facing Missouri. Find out more about the Challenge and our selection process. Sign in to share your honors and accomplishments. Greater Missouri Leadership Challenge shared a post.